We're delighted to include a huge array of delicious artisan chocolates and truffles handmade in Hampshire from the finest Belgian couverture. 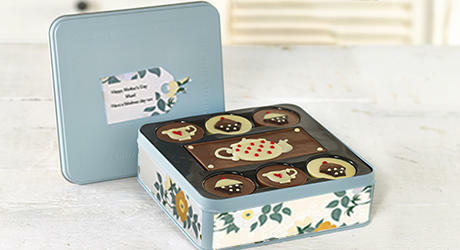 Each bijou collection is presented in a personalised, flower-inspired keepsake tin. Just another way Flowercard helps you say ‘thinking of you’ for any occasion.